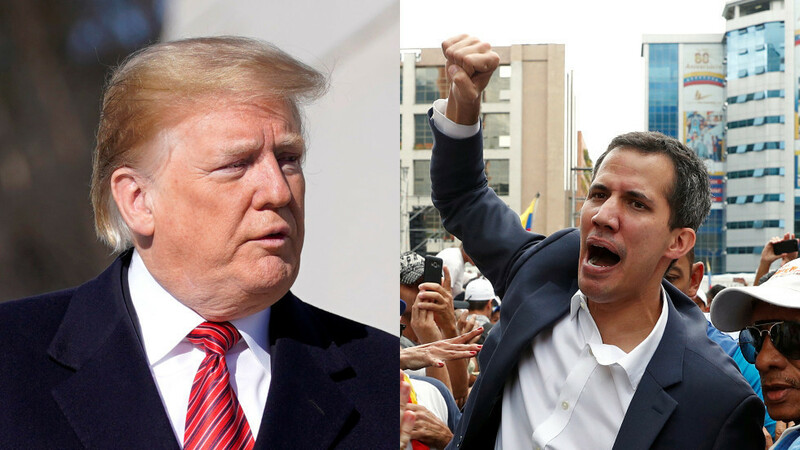 The Trump administration declared on Wednesday that it will recognize Venezuela’s opposition leader Juan Guaido as the country’s rightful president, angering supporters of Nicolas Maduro, who won re-election in 2018. Is Venezuela on the brink of a coup, or will President Maduro be able to hold on to power against the forces of his opposition now getting a full throated backing from Washington? RT America’s Dan Cohen reports. Then author and Professor Steve Ellner joins Rick Sanchez to share his insights, arguing that US history shows that the decision to confer legitimacy on any foreign government is essentially arbitrary. He reminds us that the US has a long record of stamping out progressive movements in Latin America and that Venezuela’s model poses a particular threat to Washington. Former Pentagon official Michael Maloof joins Rick Sanchez to weigh in on the current talks between Presidents Erdogan of Turkey and Putin of Russia concerning the future of Syria following the reduction of US involvement in the conflict. He predicts that while Turkey, Russia and Iran can be expected to vie for influence in the war-torn country but that Putin will ultimately dictate terms. They also discuss the unpopularity of Syrian President Bashar Assad in the United States.